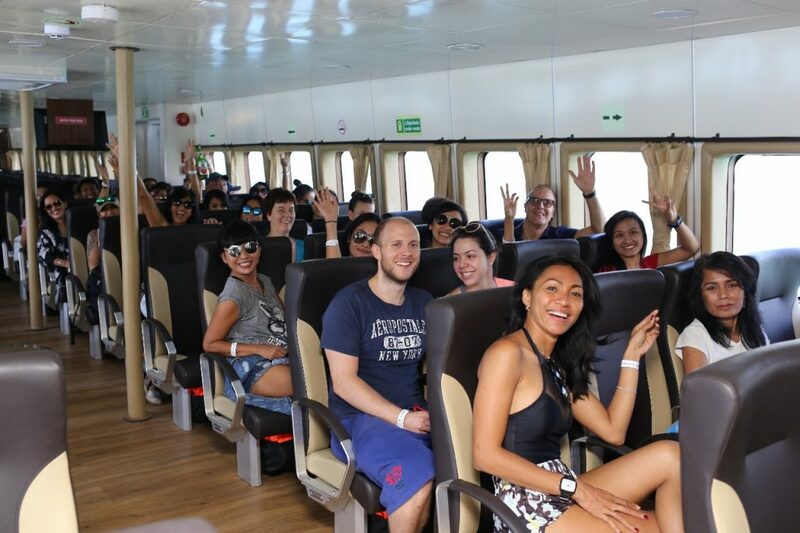 Patagonia Xpress is newest luxurious Fast boat Service, operated between Benoa Harbor (Bali), Gili Island and Lombok. 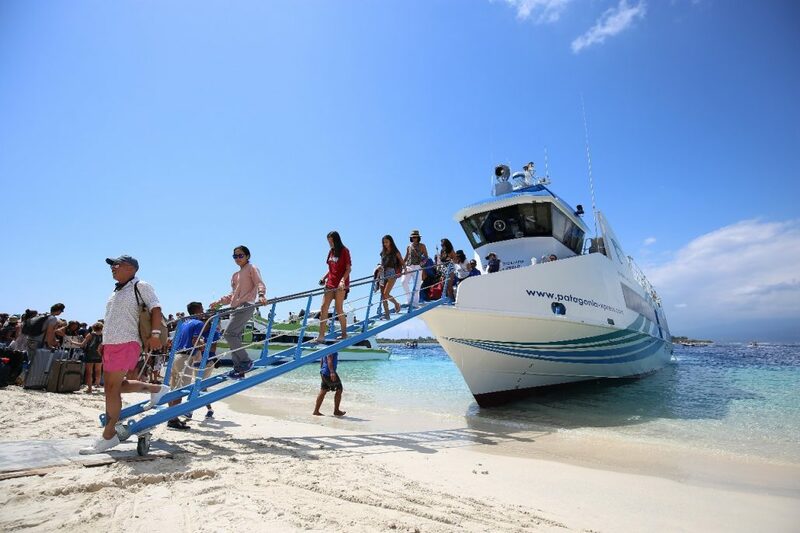 This fast boat to Gili is constructed from aluminium and was built in the top class PT. Citra Shipyard. Measuring an impressive 33 metres long and 6 metres wide. 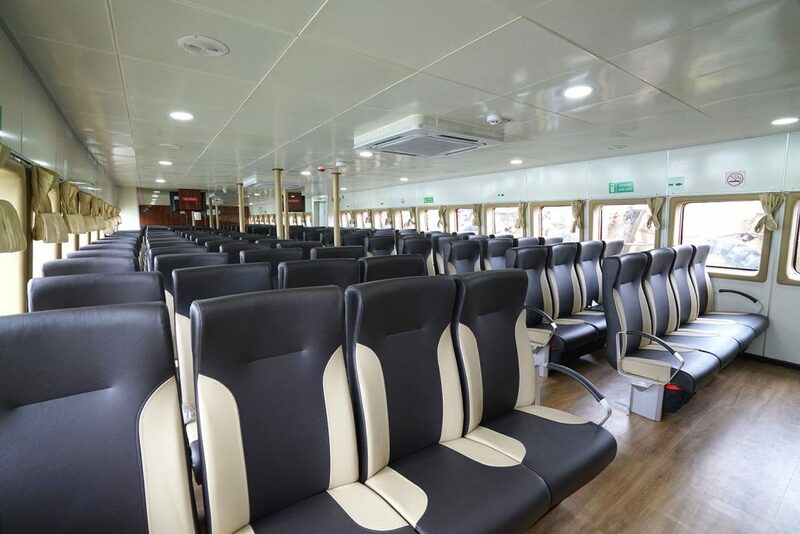 Patagonia Xpress can accommodate 182 passengers, travelling from Benoa Harbour to Padangbai, Bali before heading to Gili Trawangan and Gili Air and returning to Benoa via Bangsal in Lombok and Padangbai. 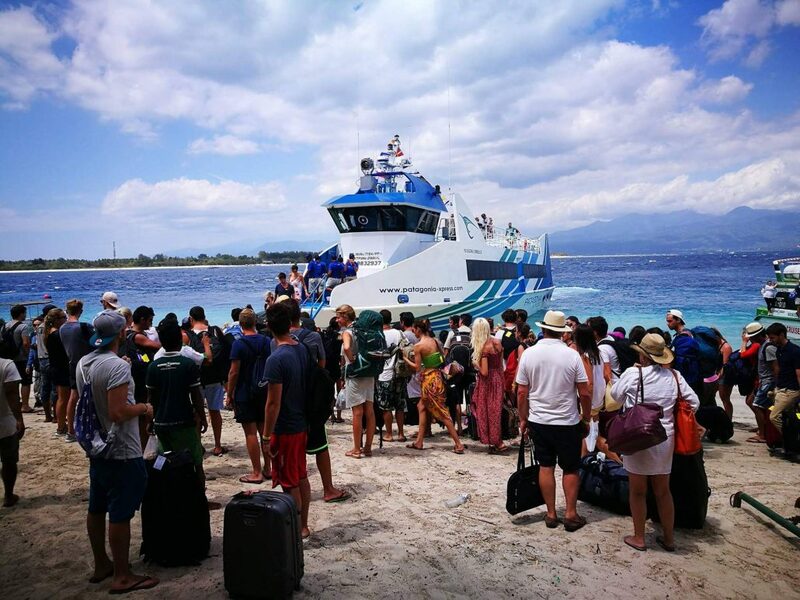 We are confident to say that you are travelling safely and securely with Patagonia Xpress, as our fast boats to Gili Trawangan and Gili Air meet rigorous international safety standards. 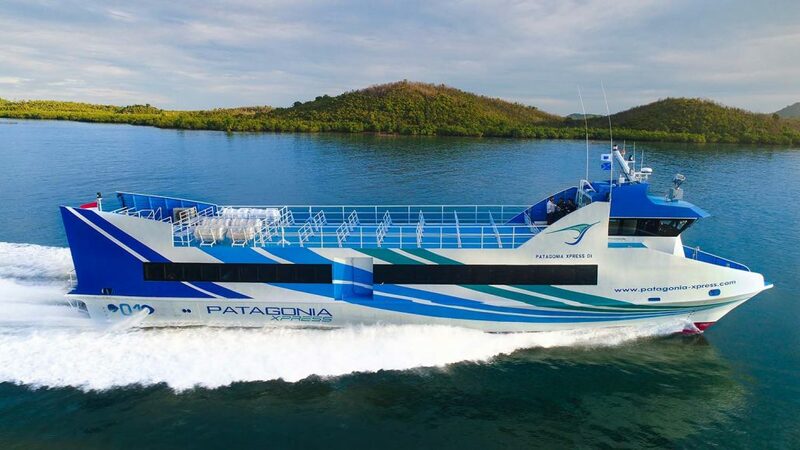 The Patagonia Xpress fleet is stable and well-constructed vessels with the latest in safety equipment including fire extinguishers, eight life rafts and life jackets for all passengers. In addition to the latest AOS technology and GPS tracking for navigation purposes. 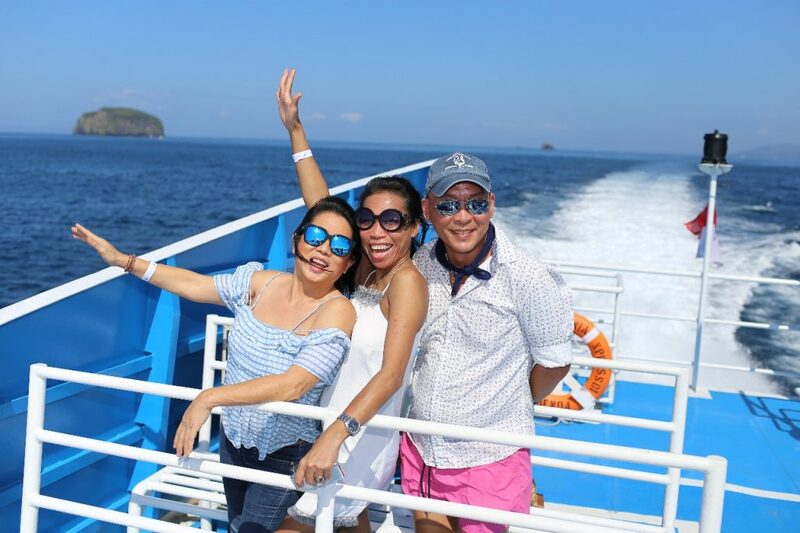 During your fast boat journey from Bali to Gili, you will be in the safe hands of an experienced crew who are committed to ensuring an enjoyable and safe journey for every one of our passenger. Your safety and comfort is our utmost priority. At each of the embarking and disembarking points, we have staff available to help you with the boarding process. They are available to answer any queries regarding your journey aboard the Patagonia Xpress. 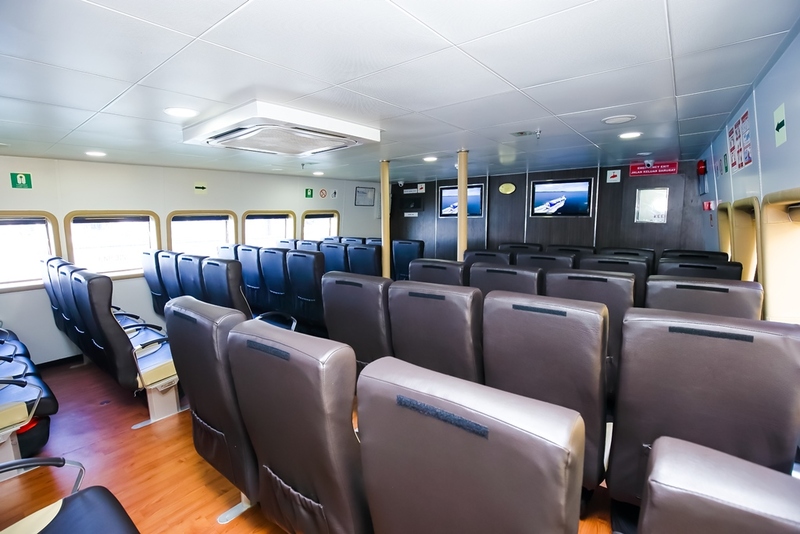 The Patagonia Xpress services are luxurious but you will find our fast boat to Gili prices affordable. Our prices come complete with safety, comfort and a peace of mind. Children under the age of 3 years old are free of charge. The Patagonia Xpress departs from Bali in Benoa Harbour at 8.30am and transits in Padangbai before departing to the Gilis. 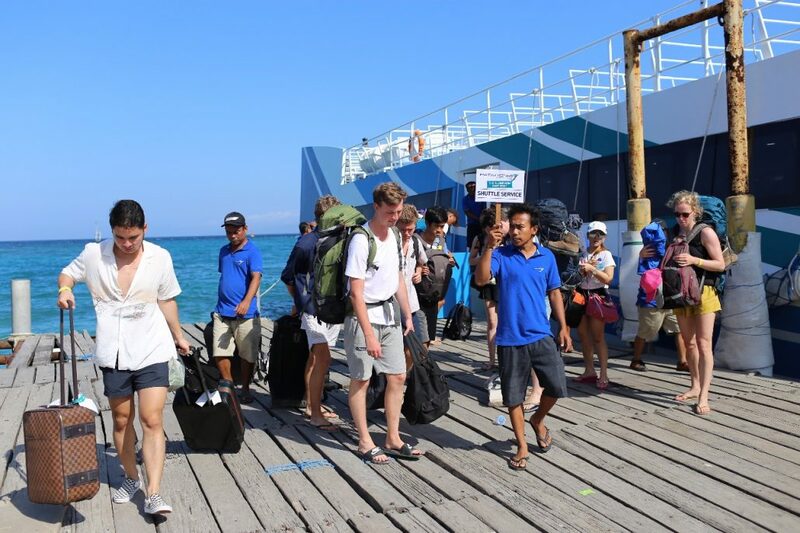 The boats from Padangbai to Gili Trawangan leave at 10:00 a.m. At 12.00pm, the Patagonia Xpress travels from Gili Trawangan to Gili Air and at 12.30 p.m. the Patagonia Xpress sets out from Gili Air to Bangsal. At 1.00 p.m., the Patagonia Xpress departs from Bangsal and heads to Padangbai, arriving at 3.00pm, before returning to Benoa at 4.30pm. We do our very best to maintain this schedule, aiming to be the most reliable Bali to Gili fast boat. Comfortable air conditioned in the boat’s salon. Watching a film on one of the four 32-inch flat screen TVs.